GPSEN > Sustainability News > International > We Are Still In! 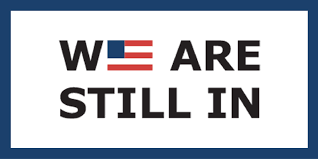 The movement for regions and organizations to remain in the Paris Agreement has released their We Are Still In webinar! We appreciate your continued interest in the national and international climate landscapes of 2019, and were happy to share and discuss opportunities for institutional engagement around climate action. You can find a recording of this 45 minute webinar here. Please don’t hesitate to reach out with any follow up questions or additional thoughts.